Texas de Brazil is a Brazilian steakhouse or churrascaria, that features endless servings of flame-grilled beef, lamb, pork, chicken, and Brazilian sausage as well as an extravagant salad area with a wide array of seasonal chef-crafted items. 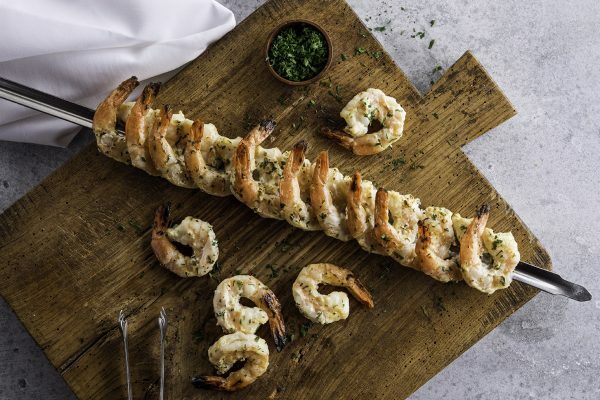 Grilled Shrimp: Skewers of sizzling grilled shrimp marinated with garlic, cayenne pepper, oregano and parsley will parade by your table this spring. Full of flavor, you’ll want to eat these all season long. Available during dinner only. 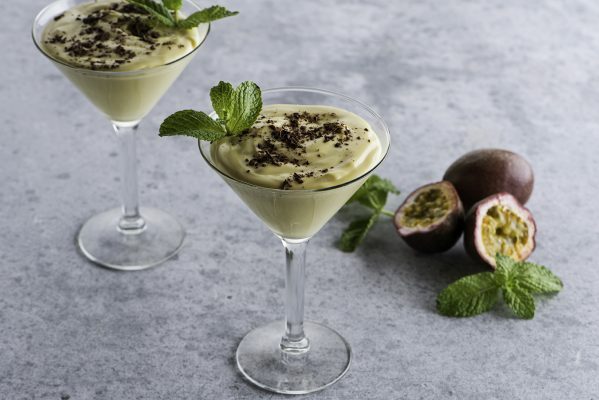 Mousse de Maracuja (Passion Fruit Mousse): A native fruit to Brazil, this popular dessert is a decadent ending to your perfect meal. The irresistibly rich texture meets a semi-sweet chocolate shaved garnish for a treat that’s both creamy and dreamy. Available for purchase.